Mammals occur widely across almost all parts of the Earth, making their homes in almost every terrestrial habitat and climate zone, and in aquatic habitats including fresh water, oceans and the endlessly fluctuating systems of coastal areas. In order to exploit this extraordinary variety of habitats, different species of mammals have evolved specialist lifestyles that allow them to survive the challenges of their environments and to leave offspring to continue their line. Locomotion is a critically important element of lifestyle, and often closely linked to feeding habit. 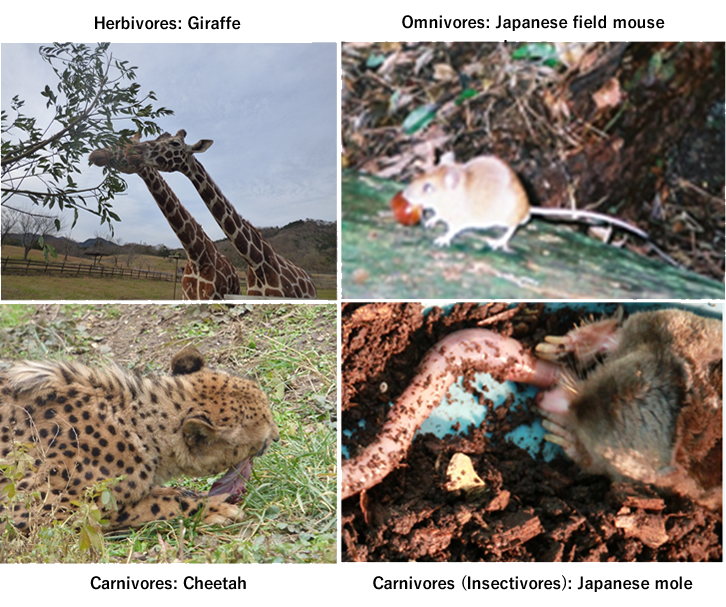 Mammals can be broadly classified by feeding behavior into carnivores, herbivores and omnivores. Many carnivores are hunters. Land based predators catch their prey by running, jumping and flying, while in aquatic habitats, predators of fish (piscivorous) are generally able to perform fast skilful swimming to pursue their prey, while those that consume vast quantities of slower moving prey, such as krill, must travel vast distances in order to find sufficient food. Herbivores do not have to chase their food, but they may need to perform running, jumping and climbing to escape from predators. Many herbivores including many primates and rodents perform arboreal locomotion in order obtain leaves, fruits and nuts. Likewise, for burrowing species, digging is not only a means of creating a shelter, it can also be an important in accessing food such as roots, tubers, insect larvae or other invertebrate prey. It is impossible to fully understand the lifestyles of mammals, without considering their locomotion.